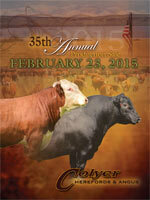 2015 Colyer Herefords & Angus Annual Production Sale - Feb. 23 - Hereford & Angus bulls and females for sale. Micheli Herefords, WY - $57,500. Hirschfeld Group, IL - $41,000. to GKB Cattle Co., TX - $35,000. to Waibel Ranch, OR - $20,000. to Waibel Ranch - $20,000. to Big Gully Farms, Sask.- $18,000. 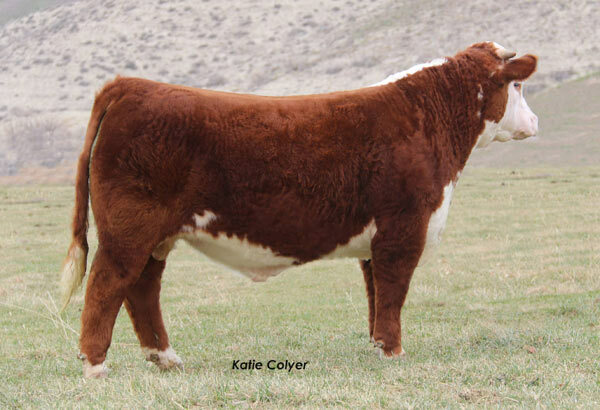 Lot 47 - C KLC R98 Miles 4123 ET by C Miles McKee 2103 ET to Spencer Herefords & Micheli Ranch - $57,500. 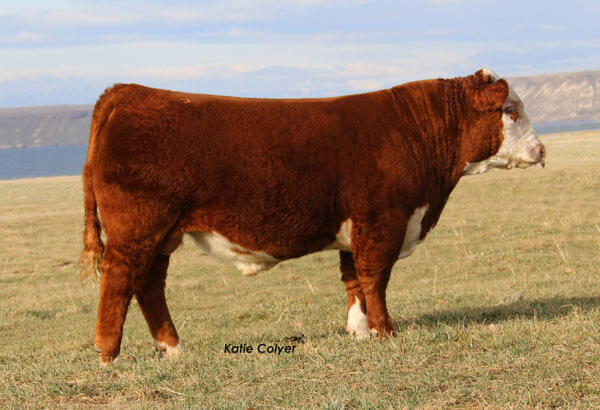 Lot 96 - C KRC 1008X Miles 4288 ET by C Miles McKee 2103 ET to Buck Cattle & Hirschfeld - $41,000. Lot 95 - C KLC R98 Hometown 4282 ET by NJW 73S W18 Hometown 10Y ET to GKB Cattle - $35,000. Lot 37 - C 10Y Hometown 4108 by NJW 73S W18 Hometown 10Y ET to Robinson Cattle & D&D Howard Sheep & Cattle - $30,000. Lot 127 - C R111 Hometown 3263 ET by NJW 73S W18 Hometown 10Y ET to Santee Farms - $30,000. Lot 82 - C R111 Hometown 4230 ET by NJW 73S W18 Hometown 10Y ET to Waibel Ranch - $20,000. 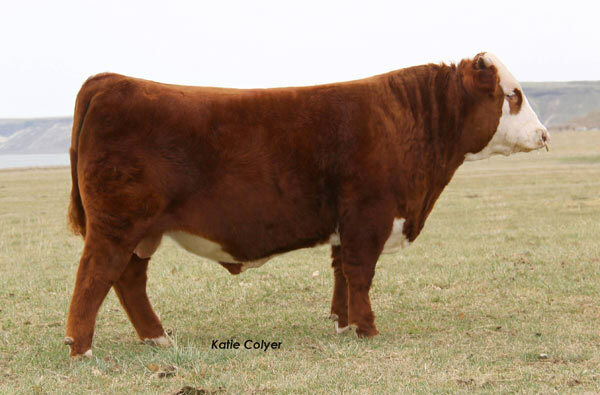 Lot 51 - C KLC R98 Miles 4132 ET by C Miles McKee 2103 ET to Waibel Ranch - $20,000. Lot 23 - C BAR1 0235 Golden Dan 4061 ET by BR Golden Spread Dan to Big Gully Farm - $18,000. 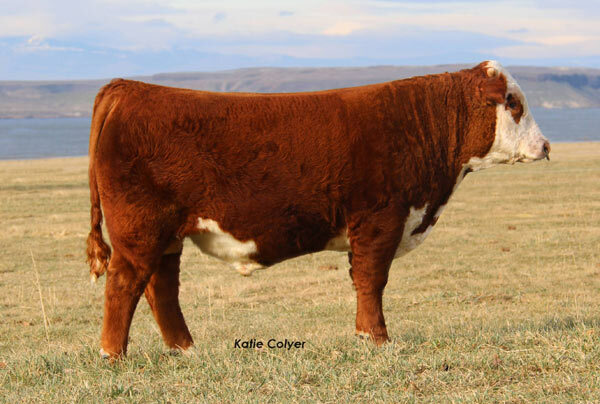 Lot 157 - C 88X Ribeye Lady 4172 by NJW 98S R117 Ribeye 88X ET to R M Farm & Livestock - $18,000. 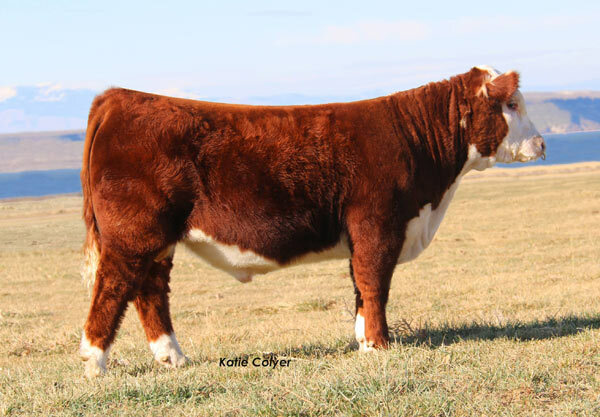 Lot 138 - C 88X Ribeye Lady 4033 by NJW 98S R117 Ribeye 88X ET to R M Farm & Livestock - $16,000. 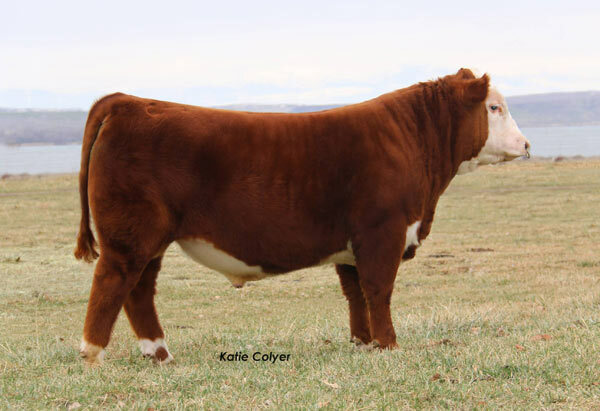 Lot 150 - C 88X Ribeye Lady 4128 by NJW 98S R117 Ribeye 88X ET to Santee Farms - $13,000. Lot 172 - C KLC R98 Hometown Lady 4280 ET by NJW 73S W18 Hometown 10Y ET to Santee Farms - $12,000. Lot 173 - C KLC R98 Lady Homerun 4292 ET by NJW 73S W18 Hometown 10Y ET to Santee Farms - $12,000. Lot 181 - CCC Right Answer 4014 to TFI Limited Partnership - $12,500. Lot 193 - CCC Confidence 4033 to Anchustegui - $11,500. Lot 182 - CCC Confidence 4015 to Anchustegui - $11,000. Lot 200 - CCC Consensus 4044 to Thomas Cattle Company - $11,000. Lot 204 - CCC Confidence 4052 to TS Ranch - $11,000. Lot 213 - CCC Upshot 4070 to Jaca Livestock - $11,000. Lot 233 - CCC Upshot 4112 to Wilson & Wilson - $11,000.